This awareness month could not have come at a better time, as other big groups push major vaccine campaigns—both across the country and the globe—to prevent and control outbreaks of deadly diseases such as meningitis B and measles. However, there is a growing trend in the U.S. where parents are delaying or refusing vaccines for their kids, leading to a rise in diseases that were once almost gone (or controlled). This issue is mostly because of information readily available on the internet, as well as a number of popular people online who say vaccines are dangerous for a lot of different reasons. With so many different opinions and types of information out there, we have taken the time to share some scientifically-based facts about vaccinations. All vaccine-preventable diseases are serious. Many of those who claim vaccines are bad or infective believe that the diseases vaccines prevent are not as bad as they’re made out to be. The reality is, however, that all of the diseases listed above can cause a lot of complications and even death, and many have no cure. Not all children can be vaccinated. Not all children are able to be vaccinated because they’re either too young or they have a medical condition that doesn’t allow them to receive vaccines. This includes people with immune disorders, those with a weakened immune system (e.g., people who get new organs from donors) and people who are allergic to a certain ingredient in a vaccine. That said, all healthy adults and children are able to be safely vaccinated so their bodies can create the antibodies needed to keep the disease away. This not only keeps each individual safe; it also protects the people who cannot be vaccinated from the diseases. Combination vaccines are safe and effective. Thanks to the science of vaccines, children can get protection from a number of diseases with just one shot. 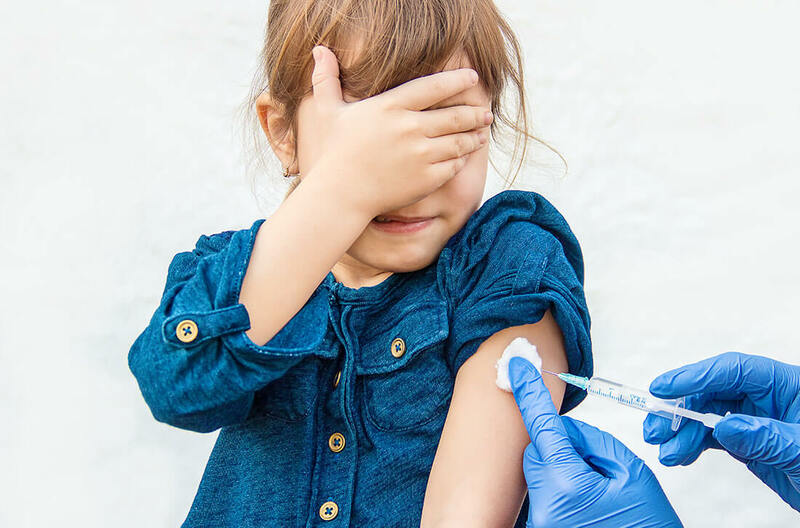 Examples include the 5-in-1 vaccine—which protects against tetanus, diphtheria, polio, Hib and pertussis—and the MMR vaccine that protects against measles, mumps and rubella. This makes it less upsetting for children as it means fewer shots during a visit to the doctor. Vaccines are tested for safety. Many people who believe that vaccines are bad will tell you that vaccines have not been tested to prove they are safe. This is not true. In fact, vaccines are always tested for safety and effectiveness, and new studies about it are published regularly. To date, there has been no scientific evidence that vaccines cause autism. This belief came from one scientific paper published in 1998 that said that there might be a link between the MMR vaccine and autism, but the study turned out to be fake. However, some people still believe it to be true. Some also believe that thimerosal (an ingredient that used to be in vaccines to help preserve them) causes autism, but that has also been proven to be untrue. It’s important to understand that no vaccine is 100 percent effective and that there is still a chance you can get a disease that you are vaccinated against. However, even if you do get the illness, it is typically a much milder form that won’t be nearly as bad. With this in mind, it is important to keep your child on a vaccination schedule recommended by your doctor. This is the best way to keep your child—as well as others—safe from a lot of different diseases. Each state usually has its own recommended schedule for children and adults, but it is all very similar. In Maryland, there are also vaccines children need to have so they can go to public school, daycare and other child care programs. Click here to view the Maryland Healthy Kids School Vaccination schedule. To schedule an appointment with a doctor to get vaccinated, contact us today.